Optus WiFi plans – great for the person who wants it all. We've covered pretty thoroughly how WiFi works and what kind of wireless internet to choose – now let's take a look at how a particular Internet Service Provider (ISP) deals in WiFi. 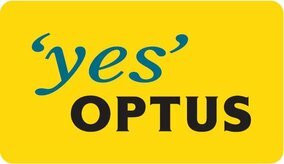 Optus (1300 137 897), Australia's second largest internet and phone provider, is the kind of ISP to go for when you want your internet with lots of add-ons – phone, modems, free calls, even TV. They're up the pricier range of the spectrum, but what they do offer as a result of that is give you, the customer, more choice. Optus is ideal for the heavy user, as their plans tend to start at a fairly high data usage. Optus is also great for the family, when you only want to be paying one bill to one provider so that everything is simple and easy and you can get all the services you need. If you're looking for WiFi internet, too, Optus are a great option. Your internet's WiFi capability comes from its modem, and Optus will often give you a free modem when you sign up for one of their plans. For plans up to 500GB, this modem is a just a standard one that doesn't have WiFi capacity – but you can attach a WiFi router to the modem that you can buy from any electronics store for around $40. Considering that you got the initial modem for free, this is a much cheaper option than the usual $100+ cost of a Wi-Fi modem. For plans of 500GB and over, Optus includes a free Wi-Fi modem. Both modems comes pre-configured to Optus, so it's easy to just plug it into the wall and start your WiFi network up with no hassles or drama. If you're a lighter user looking for internet plans, we recommend checking out TPG plans and Eftel plans. Today we'll be looking mostly at Optus's bundle deals, as this is where they have their best bargains. They also offer Naked Broadband, where the phone line is disconnected, but Naked Broadband can often be more expensive than bundle deals and you should be very careful before you decide that it's what you need. If you're set on Naked Broadband, have a look at some of MyNetFone's plans. Optus starts at $64.94 per month for the 120GB ADSL2+ Broadband and Home Phone Bundle. The plan splits your usage into 50GB peak and 70GB off-peak and includes $30 of call value to local, national, 13/1800 numbers and standard Australian mobile numbers. It will also give you a free modem. The contract length is 24 months. The Optus 120GB Anytime ADSL2+ Broadband and Home Phone Bundle. For $79.00 per month on a 24 month contract, this plan includes unlimited calls to local, national, and Optus mobile numbers and a standard modem. The Optus 120GB ADSL2+ Broadband and Home Phone Bundle. For $89.94 per month, Optus includes a free standard modem and it's a 0-month contract, meaning you can keep it for as small a period of time as you like. It's this kind of flexibility and range of choice that sets Optus apart from other ISPs. 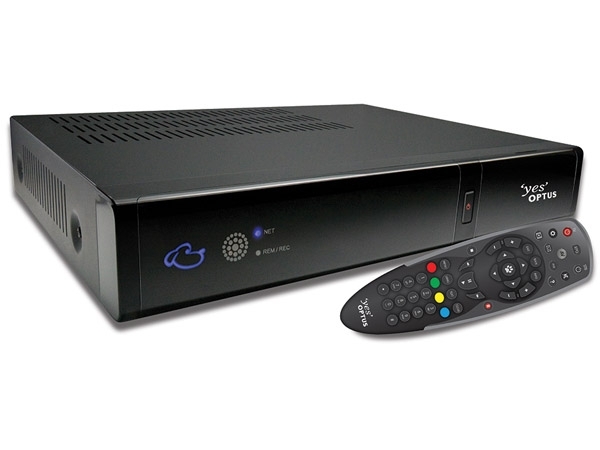 They continue the range of options with plans offer 150GBs and 500GBs. We particularly recommend the 500GB ADSL2+ Broadband and Home Phone Bundle. For $99.00 per month on a 24 month contract you get 500GB anytime. It also includes unlimited free calls to local, national, and Australian mobile numbers and a free Wi-Fi modem. Optus doesn't offer unlimited plans, but they do offer 1000GB plans. This should be more than enough data usage for anyone – it's equivalent to around 1333 downloaded movies! The 1000GB Anytime ADSL2+ Broadband and Home Phone Bundle is $129 per month on a 24 month contract. It includes unlimited calls to local, national, and Australian mobile numbers and a free Wi-Fi modem. It also includes the Optus MeTV Feature for no additional cost. Optus MeTV is a streaming service that offers thirty preselected movies every month, the ability to pause, rewind, and record live TV, and the capacity to rent hundreds of movies from your home. Call Optus today and talk about or sign up for any of their plans on 1300 137 897. If you're having trouble deciding between Optus and another ISP, you can call us on 1300 106 571 and we can help you sort out your broadband needs and find the right ISP for you.